ECU are proudly supporting Donate Life this week. ECU are proudly supporting Donate Life this week.There are currently 1,400 Australians waiting for an organ transplant, and a further 12,000 on dialysis. 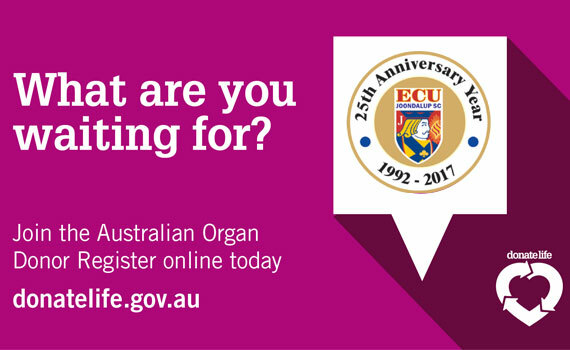 www.donatelife.gov.au – the new online form only takes a couple of minutes.